A regular feature looking back on each of the Kydd titles – with story background, research highlights, writing challenges and more. And thank you for all your kind comments on the post about my eighth book, THE ADMIRAL’S DAUGHTER. The ninth book in the series is TREACHERY, published in the US as THE PRIVATEER’S REVENGE). Facing a grim future Kydd has been framed and unfairly dismissed his ship. He struggles to survive – and clear his name. During the period of the French Wars, the Channel Islands held a special significance for England because of their proximity to the enemy coast. And during much of World War II they were actually occupied by Nazi Germany. 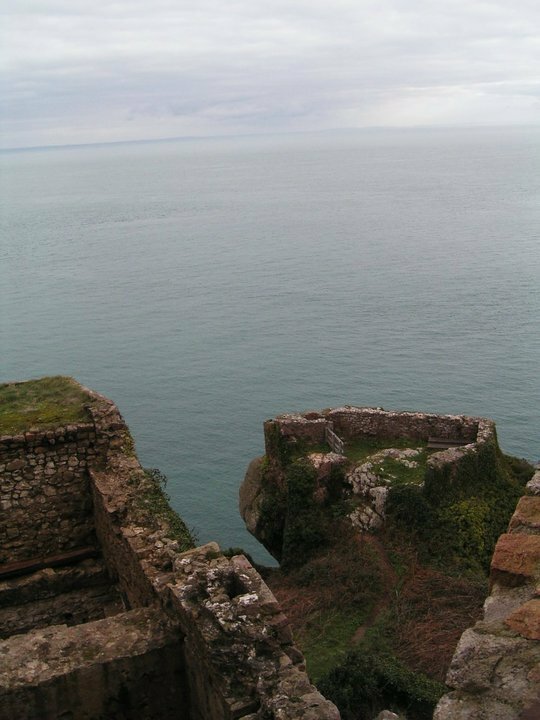 The rock-strewn waters around the Channel Islands are among the most treacherous in the world and presented Kydd and his ship with horrific hazards. Over the centuries uncountable vessels were claimed by the sea and lie forever in Davy Jones’ Locker. 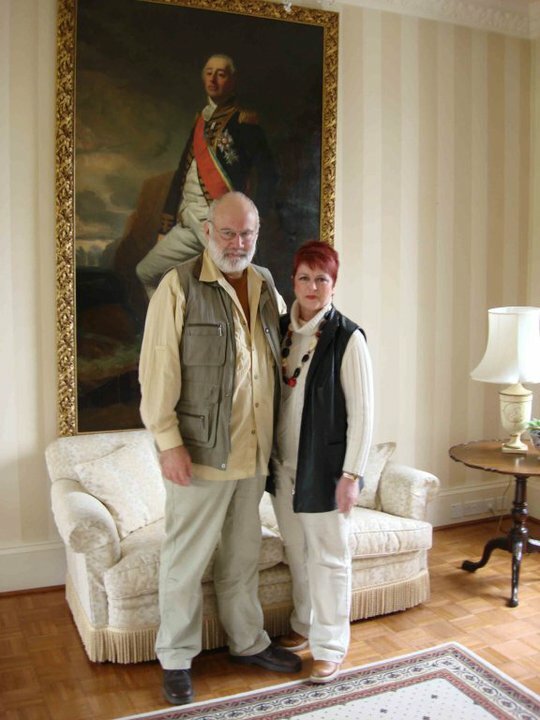 For location research for this book Kathy and I based ourselves at The Grange Lodge, St Peter Port, Guernsey. Where possible, we always like to be in accommodation with some link to Kydd’s day and this hotel certainly fitted the bill! It was built in the eighteenth century on the proceeds of privateering, as were many of the splendid Georgian structures in the bailiwick. In fact, there have been few of my research locations that have proved so little changed and so genuinely atmospheric as the Channel Islands. As usual, we spent quite a deal of time delving into historical records and talking to various experts. Guernsey has a wonderful local studies centre, the Priaulx, and an excellent library, the Guille Alle. As well, we were given special permission to access eighteenth century documents in the Greffe, the official archives. Dr Gregory Stevens Cox, a world-renowned historian, provided much useful information on the early nineteenth century and I also spent a fascinating morning with the harbour master, Captain Gill, from whom I learned of the extraordinary tidal and other phenomena that make the Channel Islands so unique. One of the highlights of the trip was a visit to Government House at the invitation of Sir Fabion Malbon to view a magnificent oil painting of Admiral Saumarez, who was in command of the Channel Island Squadron from 1803-1805. He was one of the most illustrious officers to serve in the Royal Navy, but the achievements of his long naval career were often overshadowed by Horatio Nelson. 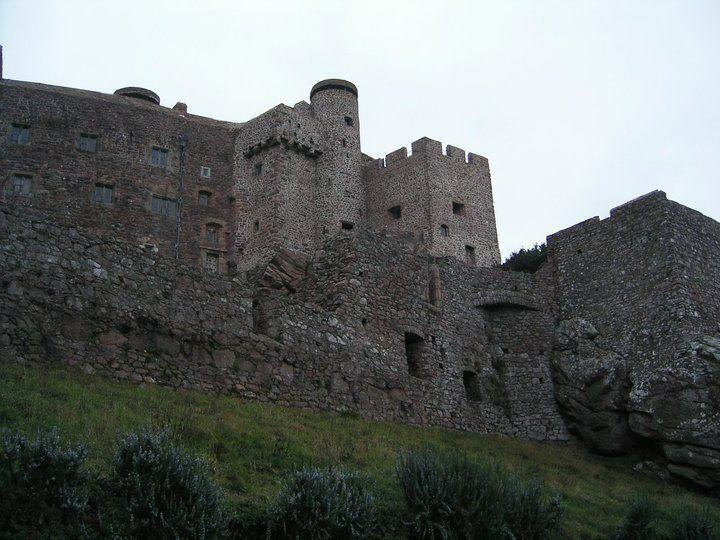 Kathy and I also managed to fit in a trip to the neighbouring island of Jersey, to tour over the impressive Mount Orgueil castle, from where the covert operations against the French that I describe in the book were actually carried out. Very atmospheric – I recommend a visit! I must say it was with some reluctance that we returned to Devon. With its abundance of fresh produce, and the range of superb French wines, the Channel Islands’ reputation as a foodie paradise is well deserved! But fine dining aside, my abiding memory of this visit was standing braced on the hills above St Peter Port on a cold wet morning looking out into the storm-tossed seas – and transporting myself back to Kydd’s time to once again marvel at the skill of seamen in wooden ships who pitted themselves against the forces of wind, tide and sea. I think your success in your writing Julian, is that you can indeed ‘transport yourself back’ to that era you are writing about. It certainly is why I enjoy your work so much.